Rt 8 to Left on Rivers Breeze Drive, Condo is on the right. Beautifully maintained condo w/ 2 bedrooms, 2 bathrooms, study, laundry, attached 1 car garage, w/ wooded views from the balcony. This unit has ground floor entry w/ main living space on the 2nd floor. HOA includes water, trash, pool, clubhouse, fitness center, & more. 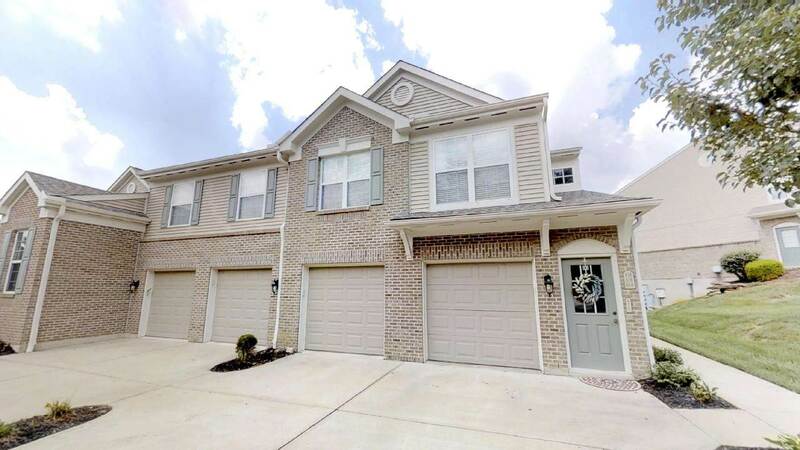 Just steps from Devou Park, 5 mins to Cincinnati, & 20 mins to CVG Airport.